Can you identify this sports top worn by Harvey on UK Celebrity Big Brother last night (pics)? I fell in love with the sport compression/skin top Harvey was wearing in last night's episode. I must have one for upcoming winter sports! The logo has been taped out, who makes it, where can I get one? It's an Adidas Techfit top. Here's a lighter blue, short sleeve version. Has to be some variant of the Adidas Men's Recovery ClimaCool Shirt. 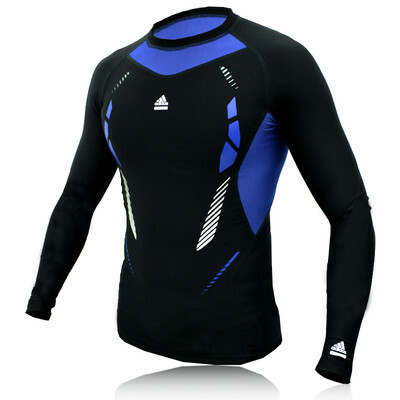 Umm, I mean Adidas TechFit Recovery Top. 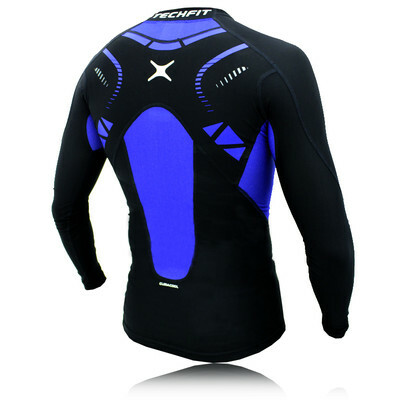 Uh-oh, techfit is indeed the magic word that has opened up a world of awesome sports shirts. I hope I can find one to fit since they seem to be most aimed at Rugby and Football players and I'm a lady. I shall endeavor to find one on the High street to try on.